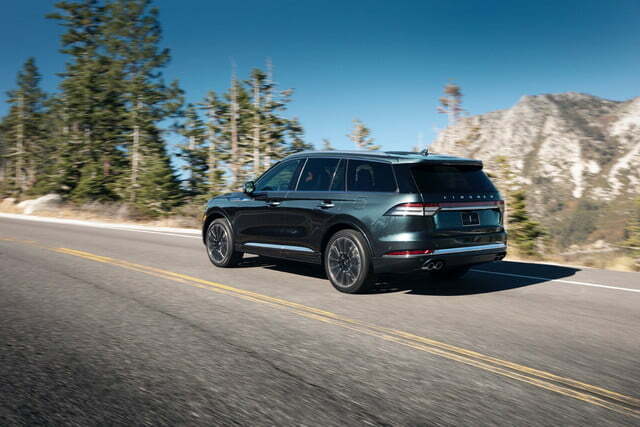 Air travel stopped being glamorous a long time ago, but that didn’t stop Lincoln from reviving the Aviator name (last used by the Ford luxury brand in the early 2000s) for its latest SUV. 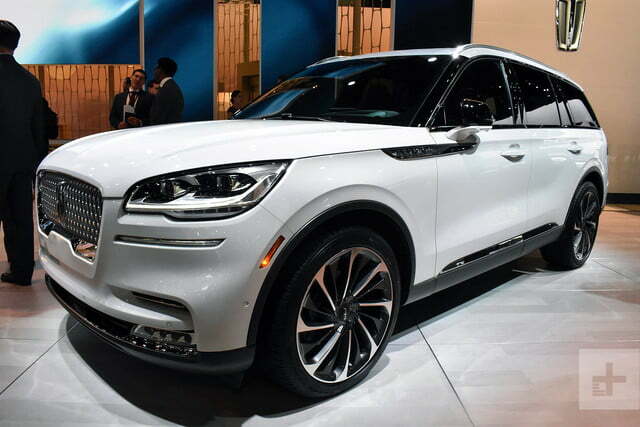 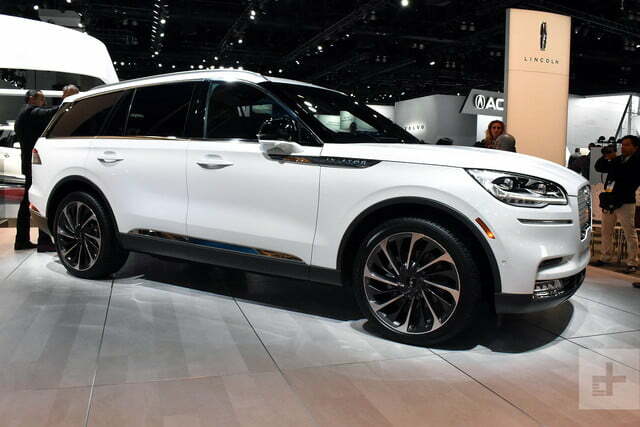 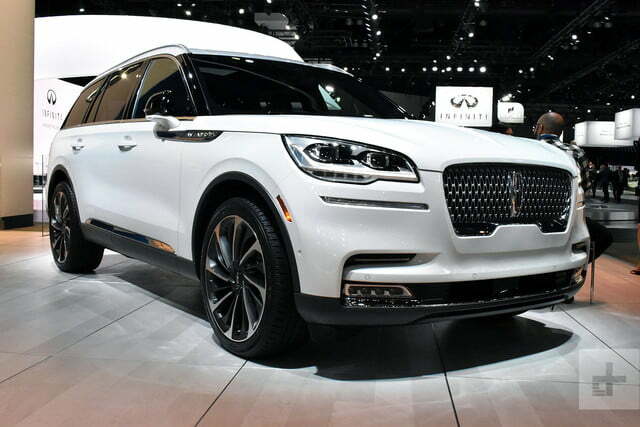 The 2020 Lincoln Aviator was unveiled at the 2018 Los Angeles Auto Show in November 2018, and goes on sale in the United States this summer. 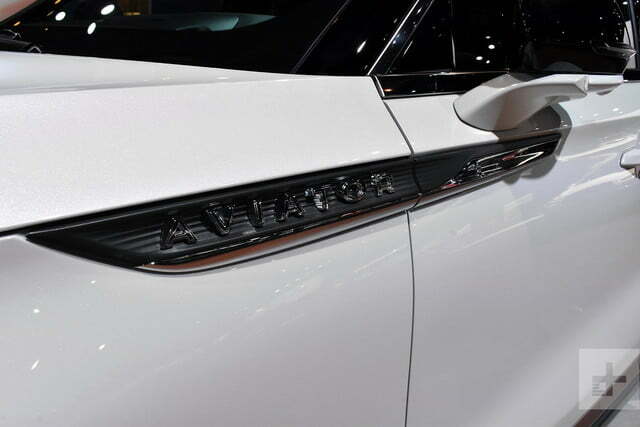 The production-model 2020 Aviator predictably looks very similar to the concept version unveiled at the 2018 New York Auto Show, and we don’t think that’s a bad thing. 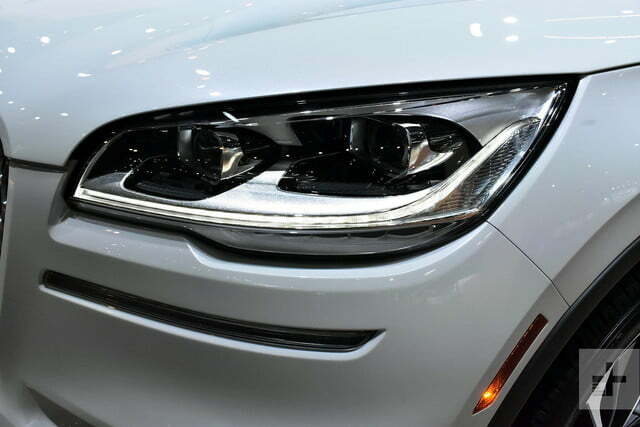 While the front end features a fairly traditional upright grille, the rest of the body is tapered, giving the Aviator a more streamlined appearance than many other SUVs. 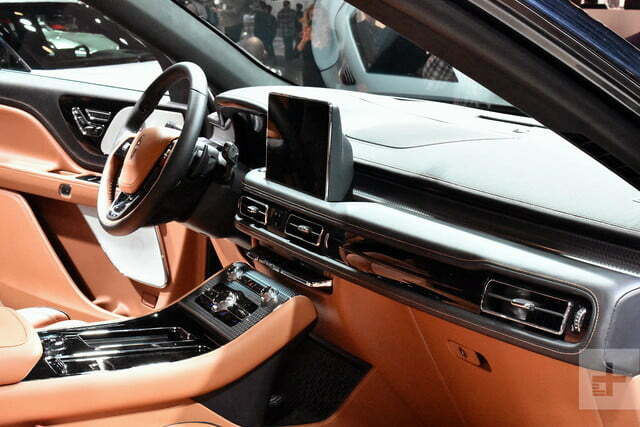 The idea was to create a look that wasn’t overly aggressive, Kemal Curic, the Aviator’s chief designer, told Digital Trends. 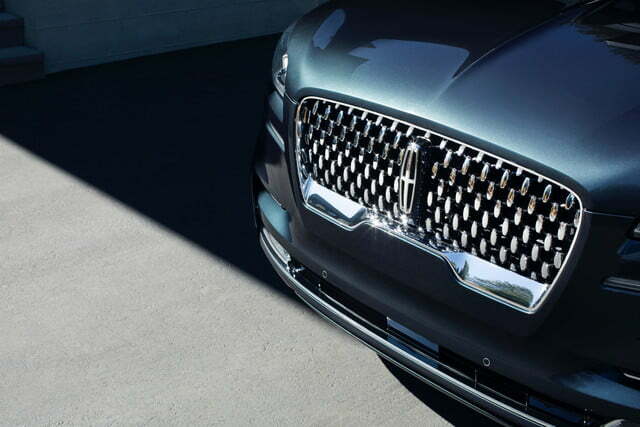 “It’s not meant to attack you, it’s meant to seduce you,” Curic said. 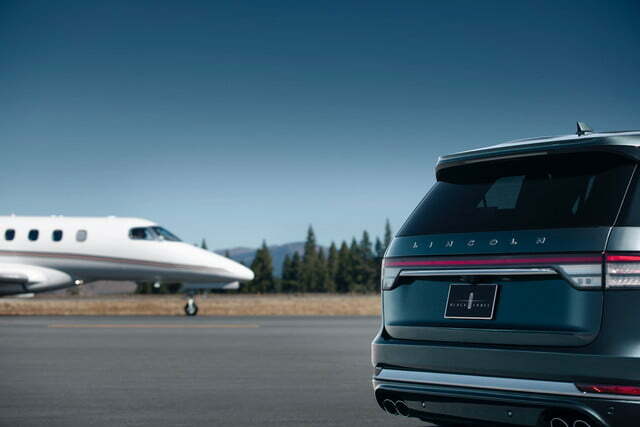 The Aviator takes flight with gasoline and plug-in hybrid powertrains. 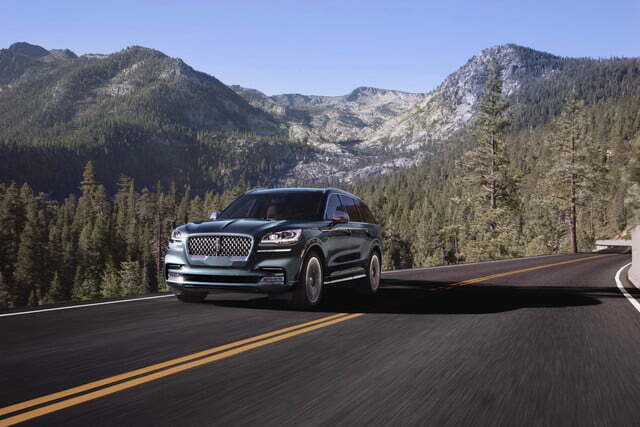 The standard 3.0-liter twin-turbocharged V6 produces 400 horsepower and 400 pound-feet of torque, according to Lincoln, and is teamed with a 10-speed automatic transmission. 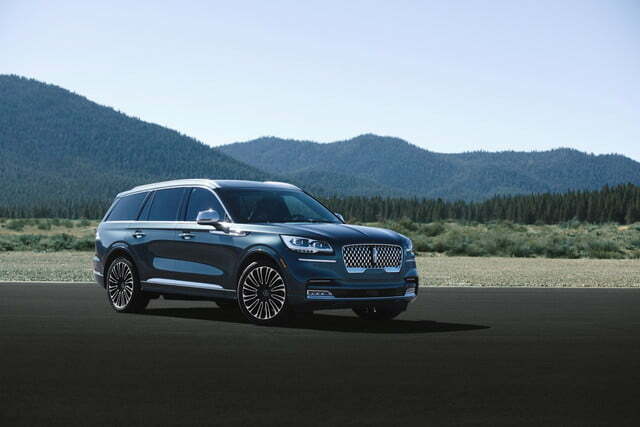 The top-of-the-line Grand Touring plug-in hybrid will add an electric boost to the V6 for a claimed 450 hp and 600 lb-ft. That will make the Aviator the most powerful production Lincoln ever, Curic said. 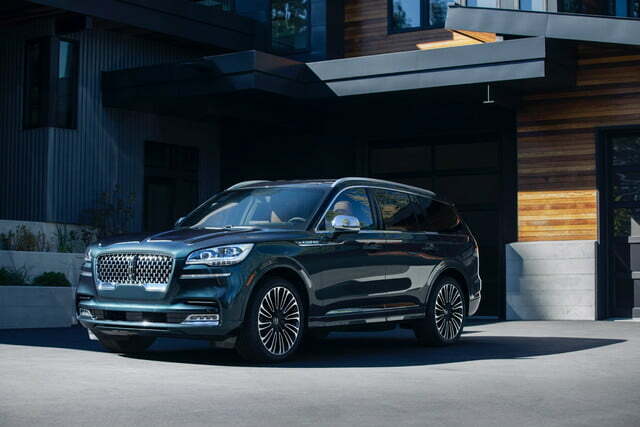 Lincoln and parent company Ford believe electrification is the way of the future; they plan to add more hybrid, plug-in hybrid and all-electric models even as they shift from cars to SUVs. 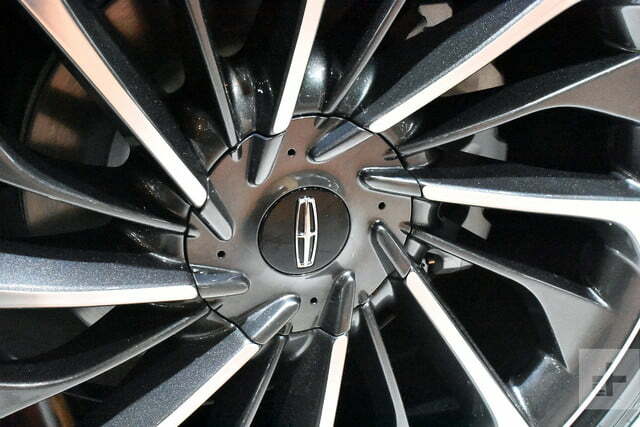 Lincoln recruited the Detroit Symphony Orchestra to produce sounds for the door chimes and other non-emergency signals. 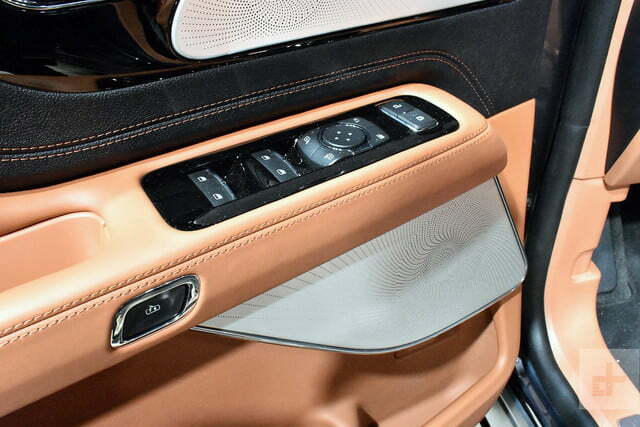 A 28-speaker Revel Ultima 3D audio system will be on the option list. 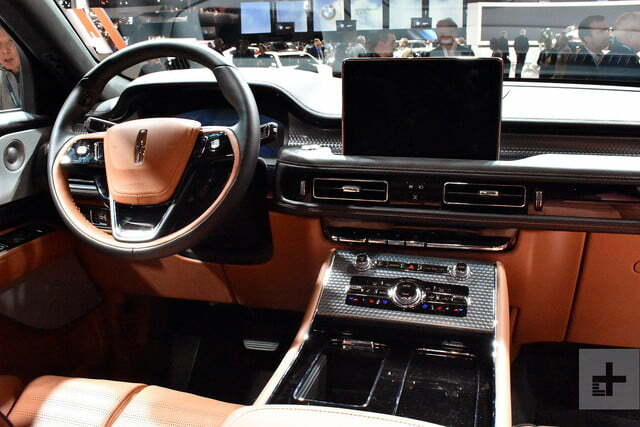 It will include three modes: stereo, audience, and onstage, each adding a greater field of sound that builds to a full 360 degrees in onstage mode. 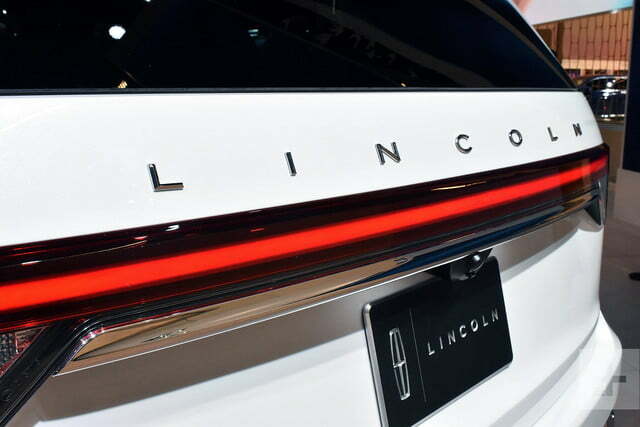 That mode will actually make listeners feel like they’re onstage with musicians, according to Lincoln. 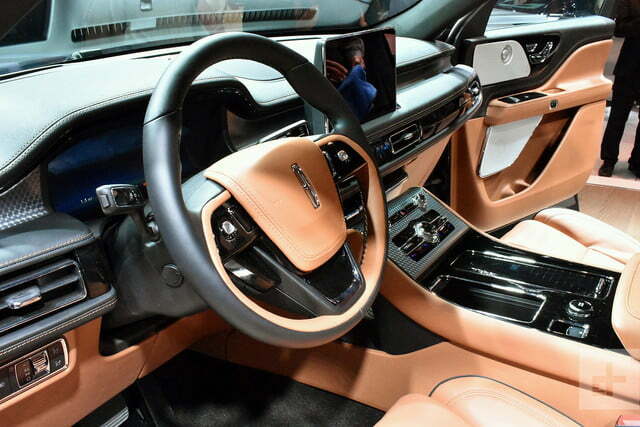 This is made possible by strategic placement of speakers, including the putting eight in the ceiling. 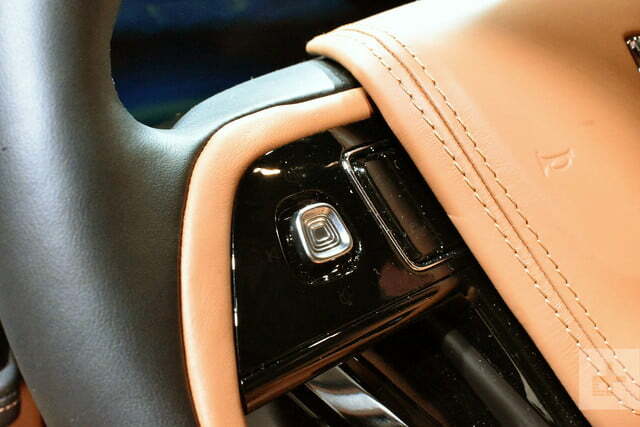 Aviator owners will be able to use their phones instead of traditional key fobs, and the SUV will also be available with a long list of driver aids. 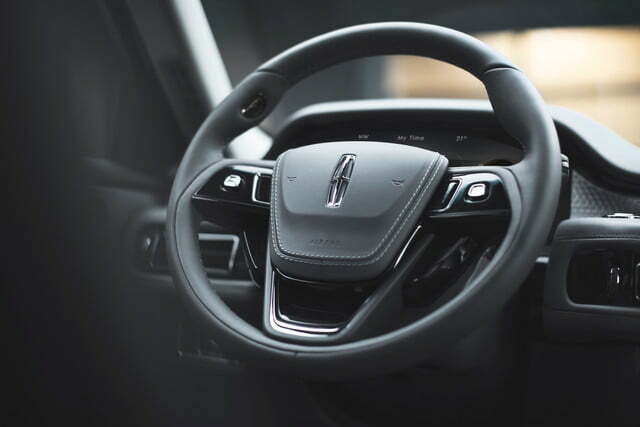 Traffic Jam Assist can handle acceleration and braking in stop and go traffic while keeping the Aviator centered in its lane, and a park assist feature can execute parallel and perpendicular parking maneuvers automatically, according to Lincoln. 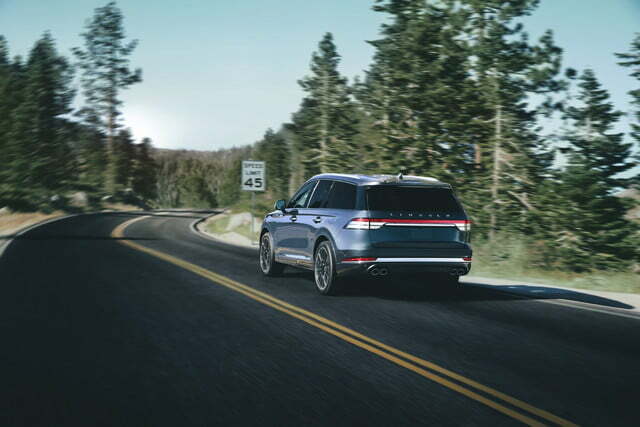 Adaptive suspension allows the Aviator to kneel like a bus for easier passenger ingress and egress, or scan the road ahead with a camera and adjust suspension firmness on the fly in anticipation of potholes. 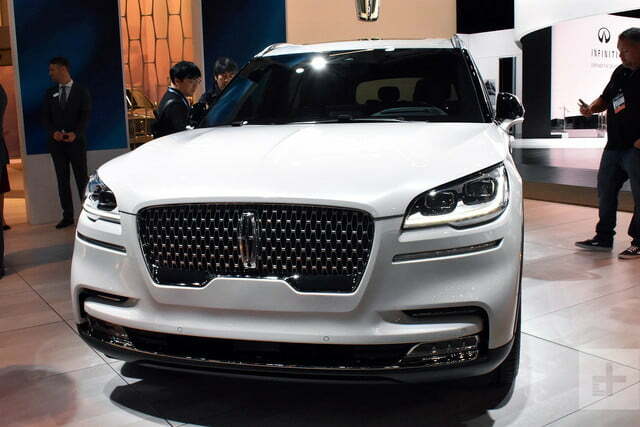 To distinguish itself from other luxury brands, Lincoln tried to make some of these tech features more friendly, explained Megan McKenzie, Lincoln SUV marketing manager, in an interview with Digital Trends. 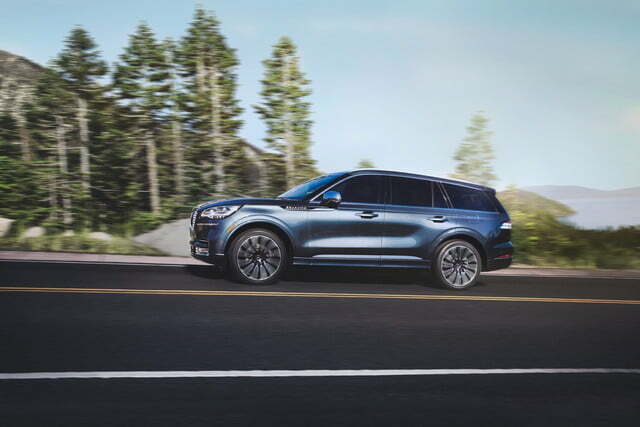 As in the larger Navigator, drive modes get jazzy names like Conserve and Excite, and the Aviator adaptive suspension’s many functions are done largely automatically. 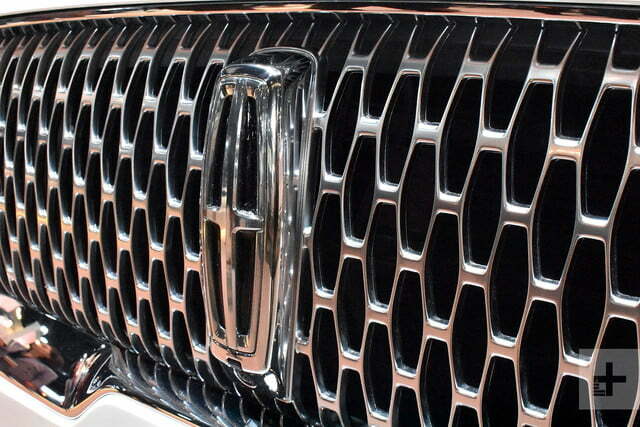 Lincoln also recruited the Detroit Symphony Orchestra to produce sounds for the door chimes and other non-emergency signals. 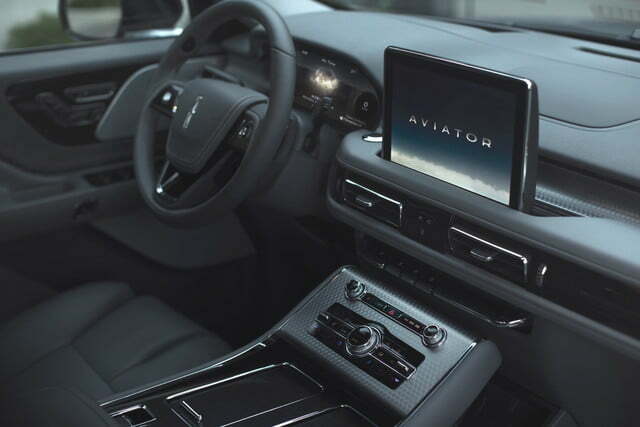 Digital Trends got to peruse 2020 Aviator Grand Touring model with the top Black Label interior trim ahead of the SUV’s L.A. Auto Show debut. 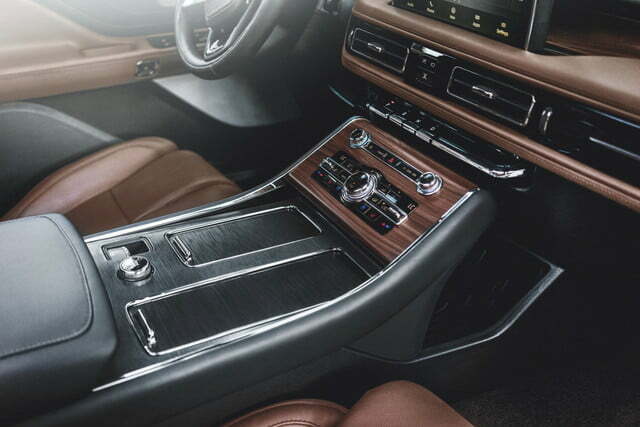 Lincoln imported the best design bits from the Navigator — including 30-way adjustable seats and switches in place of a gear shifter — but material quality was a bit inconsistent. 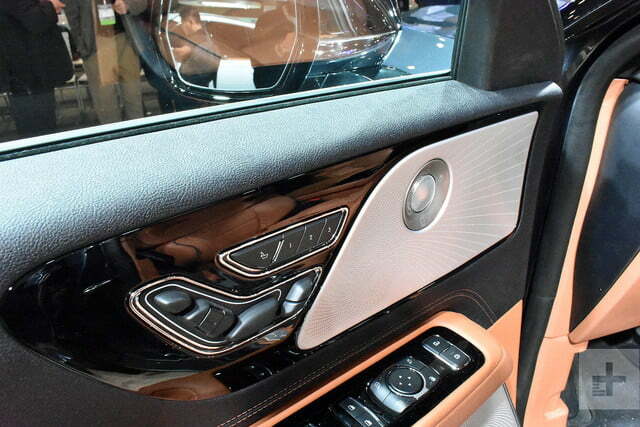 The wood trim in particular looked cheap, and there were big swathes of plastic. 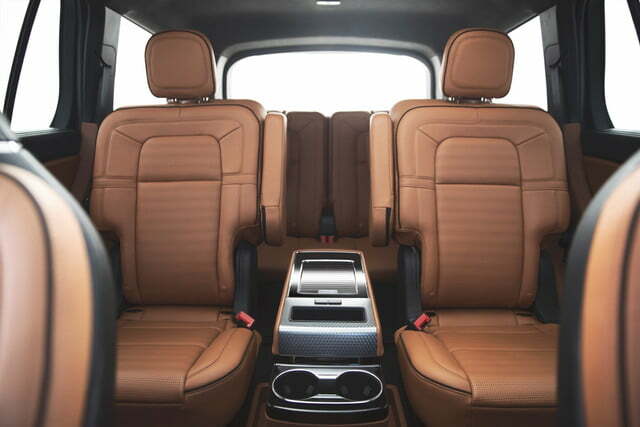 The Aviator will be available with six or seven seats across three rows. 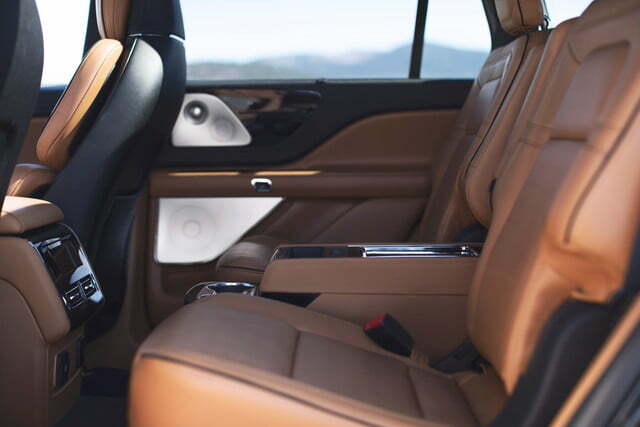 The second row felt more comfortable than Delta Economy, but the third row is best reserved for children. 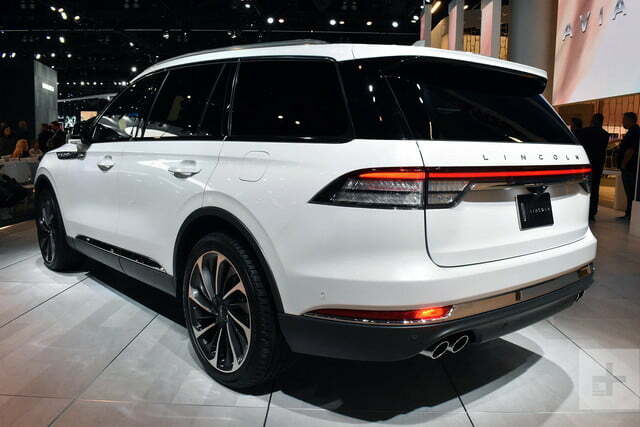 Pricing information for the 2020 Lincoln Aviator will be revealed closer to its launch. 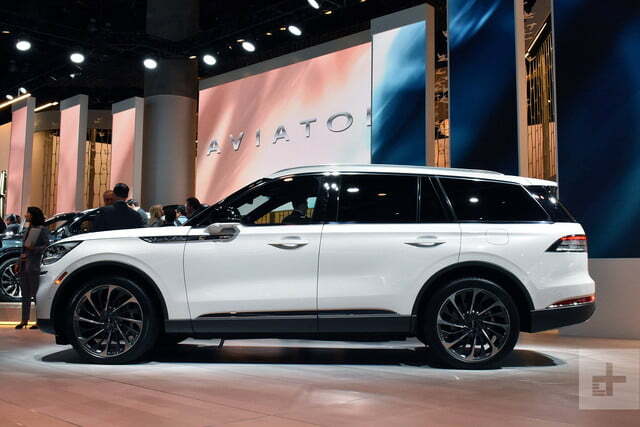 While it will share a platform with the 2020 Ford Explorer, the Aviator’s array of tech features and upscale design should help distinguish it from the Ford, and compete on equal terms with SUVs from European and Japanese luxury brands. 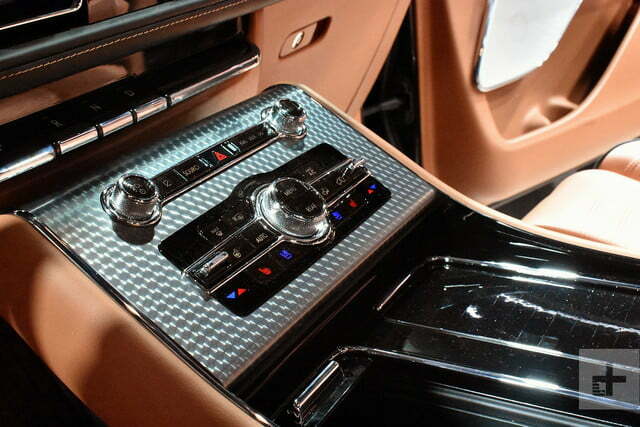 Updated on April 4, 2019: Added more information on audio system.